Nottingham have re-signed versatile forward Dan Montagu on a one-year deal from Bristol two months after he signed a new contract. The 28-year-old, who is a number eight but can also play in the second row, spent three seasons with the Green & Whites before joining Bristol in 2009. 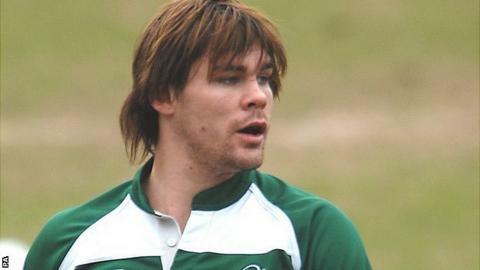 Chief executive and interim director of rugby Simon Beatham said: "Monty was a huge part of the team when he was here. "He has natural strength, great courage and commitment ." Beatham added: "We know what he is about, he has a passion for the club and city and he will fit right in with the team. "As we are going for a tighter squad, the greatest value of the team is that everyone is totally committed to it. Dan has shown that quality in his years of starring for Nottingham and Bristol." "In terms of the squad, we need players with versatility and Dan fits that mould perfectly,"